At FOCUS St. Louis, we believe that everyone possesses the power to be a leader and that even the most difficult issues are solvable. Through our experience-based leadership programs and civic issues education, we help people better understand our region and build their capacity for change. FOCUS offers a continuum of programs to meet participants where they are and prepare them to take the next step in their civic leadership journey. Our programs challenge leaders to think critically, to collaborate across divisions and to see the region through new eyes. FOCUS strives to be a connector of people and ideas. We host a variety of events throughout the year to bring people together, to encourage dialogue and discussion and to provide education on key regional and civic issues. Help us create a thriving St. Louis! As a 501(c)3 nonprofit, FOCUS depends on the support of our members and donors to continue our work of educating and connecting leaders and facilitating the important conversations. Did you know donors and members provide more than half the funding needed to support FOCUS programs? As a nonprofit, we rely on you! Your membership gift will help FOCUS equip and educate leaders to carry the St. Louis region forward. This is huge. Your FOCUS membership also does at least five things for you. It demonstrates your belief that the St. Louis region deserves strong leadership. It’s a great way to continue your engagement with FOCUS if you are a graduate of one of our seven programs. It connects you with other FOCUS members who are working on issues you care about. It entitles you to some great benefits, including tickets and discounts, access to the Member Directory, and a subscription to our newsletter. 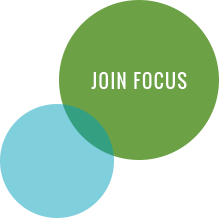 We invite you to join or renew your FOCUS membership today! Contact Katie Carpenter, Associate Director of Member & Alumni Relations, at katiec@focus-stl.org or (314) 657-4033. If you’d to make a gift to support a particular FOCUS program, click here. Online access to the full FOCUS Member Directory – build your network! Two invitations to the annual Leadership Circle Celebration – network with fellow FOCUS supporters! Invitation to FOCUS NOW, an annual networking event featuring the most recent graduates from Leadership St. Louis, Coro Women in Leadership, Emerging Leaders, the Coro Fellows Program in Public Affairs, and Impact Fellows.